Last year the Estonian publishing company Päike ja Pilv bought the Estonian rights to six of my books. Translator Kerti Tergem has been working hard and hard and hard, because every half a year one of the books will be published. This week the first one is out. 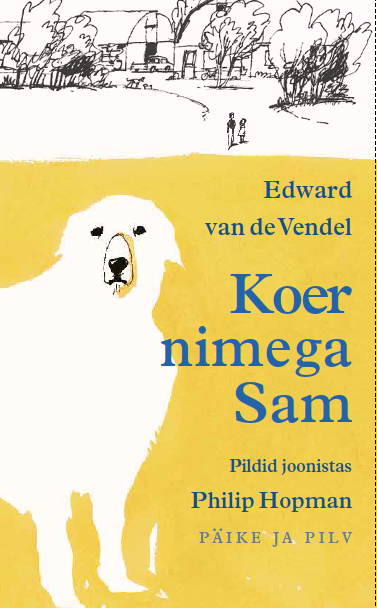 It's KOER NIMEGA SAM, the Estonian translation of TOEN KWAM SAM (THEN THERE WAS SAM). Illustrator Philip Hopman and me are really proud to see this book in Estonia and I'm quite lucky to do so, soon, in person: at the end of May I'll be attending the fantastic HeadRead-festival in Tallinn. Thanks to publisher Katrin Reinmaa and translator Kerti Tergem, and the support of the Dutch Literary Fund.